Did you know that the consumer drones market will sit at 67.7 million units annually by 2021? *That’s ten times more than 2015! This shows staggering growth that reflects the sheer importance of the Robotics market now and in years to come. Not only will every industry be impacted, but new categories will be created from self-driving cars, drones and anti-drones, cow-milking robots, exoskeletons, self-driving tractors…Do you want to be part of this revolution? This week marks one of the most important events in the Robotics calendar for developers. ROScon is the annual event that gathers ROS developers together from beginner to advanced stages to learn from and share ideas on technical talks and tutorials around the ROS platform. Now in its 5th year, the event will be taking place in Seoul, South Korea from the 8th – 9th October 2016. We’ll be there and can’t wait! Ubuntu and ROS have a strong relationship, we’re both distributions, our releases both follow the alphabet and the adjective / animal naming scheme…more importantly, though ROS primarily runs on Ubuntu with each ROS release aligned with an Ubuntu release. For example Kinetic Kame the latest ROS release is aligned with Xenial Xerus and they get along just like…turtle and squirrel. 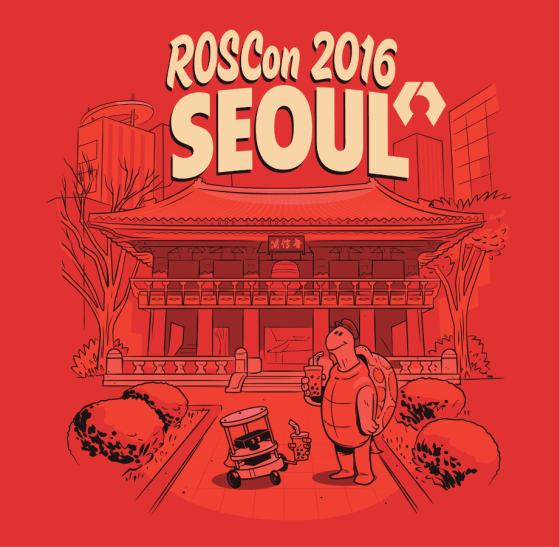 Canonical will be at ROScon where we’ll have Ubuntu Core and ROS demos! A Turtlebot robot will be roaming the floor which uses the new Intel Joule board and Realsense camera. We will also be showcasing the new drone developer kit, the Parrot S.LA.M.dunk, which will be mounted on a screen doing 3D mapping of booth visitors! Intel and Parrot are just a couple examples of the major robotics partners we are working that also include the likes of Robotis, Erle, Nvidia, Qualcomm and Simbe. Korea might be a far for some… so to help everyone with roboticist aspirations we’re supporting the broadcasting of the entire conference, showcasing the range of awesome demos, talks and more around the event. And we love a good talk… with Kyle Fazzari (the roboticist in the Ubuntu Core team) talking snaps and why Ubuntu Core is a great choice for robotics deployments. We are truly excited by the Robotics field and the part Ubuntu and Ubuntu Core can play in helping revolutionise aspects of daily life. Watch this space for our dedicated Robotics web page soon to come and partner case studies! Sign up below to receive the next case study on robotics developed on Ubuntu.